One of the most diverse music styles, Latin music is a rich blend of vocals, rhythm and instrumental leads. Historically speaking, the genre traces its roots back to the time when Columbus set his eyes on America and it brought forth multiple cultures and a complex social process. Latin music was influenced by the Maya peoples that included inhabitants from Mexico, Belize, Guatemala, Honduras and El Salvador. Using different percussion and wind instruments, these early musicians laid the foundation for traditional Latin music. Later the Spanish and Portuguese influence trickled down on the genre and a more vibrant sound was achieved. In all these years Latin music has developed enough to create several subgenres. From the energetic beats of salsa to the unlimited innovation of alternative music and Latin rock, Latin music has paved way for numerous influential genres. Salsa – The vibrant rhythms of salsa makes it one of the most popular types of Latin music. Borrowing influence from Afro-Cuban, the genre is an aesthetic blend of percussion – clave, conga, maracas, bongo and tambora, and infectious instrumentation. Piano, flute, marimba, guitar and violin are the most used instruments in salsa and the modern version also implements electronics. Fans of salsa are familiar with the five-time Latin Grammy Award winner Marc Anthony. Along with Linda Viera Caballero, widely known as La India, Anthony spearheaded Salsa Romántica and spread its popularity across America and Latin America. Through their expressive compositions and powerful vocals, the duo treated the fans to musical diversity and fusions. 49-year old Marc Anthony holds a Guinness World Record, being the best-selling salsa artist of all-time, and also for having the most number one albums on the Tropical Albums (Billboard) charts. He has toured with big names in the industry like Alejandro Fernández, Marco Antonio Solís, Laura Pausini and even Jennifer Lopez. 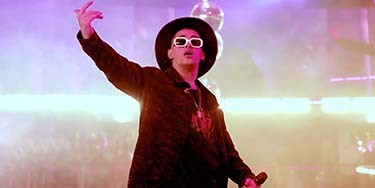 In 2017, Latin tickets for his “Full Circle Tour” recorded massive sales, following which he has announced more shows in 2018. Speaking of Jennifer Lopez, the Billboard Icon Award winner, her extended her residency at the Planet Hollywood Resort & Casino in Las Vegas. “Jennifer Lopez: All I Have” continues to draw in a huge crowd, increasing the demand for Latin concert tickets. so far more than 250,000 fans have seen her live performance at the arena, as she croons hits like “On the Floor” and “Waiting for Tonight”. 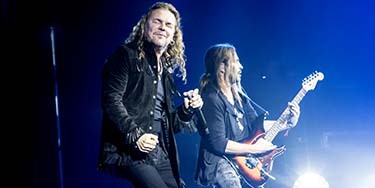 Latin Pop – Names like Ricky Martin and Shakira carried the legacy of Roberto Carlos and Julio Iglesias who popularized Latin pop back in the 70s. The Puerto Rican artist Ricky Martin found his breakthrough with the song “The Cup of Life”, the official track for 1998 FIFA World Cup. He followed his success with the single “Livin' la Vida Loca” that went on to become one of the beset-selling tracks of all time. The Viva! Bravo! singer is likely to add more dates to his “One World Tour”, as the fans simply can’t get enough of him. Shakira – while her “Hips Don’t Lie”, her astounding music also speaks loudly of her talent. She brought an ingenious fusion to the Latin pop genre, blending Arabic influences with rock n roll. She created a new rage with her belly-dancing skills, becoming a icon of the youth. Winner of three Grammy and 12 Latin Grammy Awards, Shakira united the world with “Waka Waka (This Time for Africa)”. Selling more than 10 million copies, it also became one of her best-selling songs. Enrique Iglesias - has also popularized dance pop and Latin pop genre with his genre-bending style. Mixing R&B and pop rock with the tradition Latin beats, Iglesias has composed 14 number one tracks and sold millions of Latin concert tickets. He will soon hit the road on his “Enrique Iglesias Live!” tour that starts in March 2018. Latin Urban Music and Reggaeton – Gaining popularity in the last two decades, Latin urban music and reggaeton is inspired from hip-hop, R&B and rap music. The original reggae sounds put a stamp on this ingenious style that has produced world renowned names like Pitbull, Daddy Yankee, Don Omar, Ana Tijoux and Wisin y Yandel. Bringing an edge to the urban Latin beats, Pitbull steered the genre to newer heights. His music needs no introduction as the rapper has produced super hits like “Dale”, “Timber”, “Bailando Por El Mundo” and “Dance Again”. The “Enrique Iglesias and Pitbull Live!” was one of the highest grossing tours in 2017 and he will soon hit the road in 2018 as well. Latin music is also known by the Latin rock and alternative music style popularized by artists like Mana, Soda Stereo and Calle 13. Brazilian music driven by bossa nova and samba is also enjoyed by the fans of Latin music. the tropical rhythms, complex dance beats and infectious melodies, all make Latin concerts a must-attend events. Take your pick from the vast inventory and enjoy the live music that will keep you on your feet throughout the show.